BIG SIX BANKs report obscene RECORD $34billion in profits for 2015…and still complaining! It’s that time of the year again.. 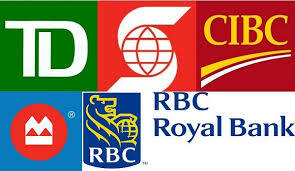 The Banks have to report their annual profits.. And no surprise, the BIG SIX BANKS are at it again..
RBC reported a $10billion annual profit for 2015. This is the first time a Canadian company reported an annual $10billion profit. Yet, at the same time, they are crying the blues and warning of troubled times ahead. (uh, that’s the same speech they’ve made for the past 10 years.. here’s a 2013 headline). GIVE ME A BREAK!!! Canadians aren’t buying it anymore.. Check out the obscene profits pulled in by the rest of the BIG SIX BANKS..